There are TWO sea aquariums at Sentosa — near the Shangri La Hotel is the old one, and the new one at the Resort World. 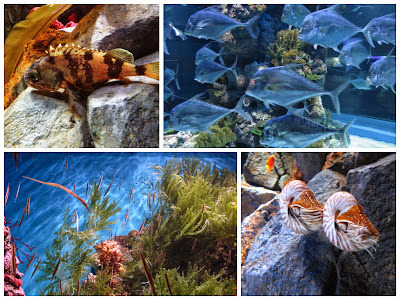 Finally I have the chance to discover the world of life in the ocean at Resorts World Sentosa. I was so fascinated by all the fishes and colorful coral. This is gonna be a lengthy post with lots of pictures. Hope you like them too. The Marine Life Park S.E.A. 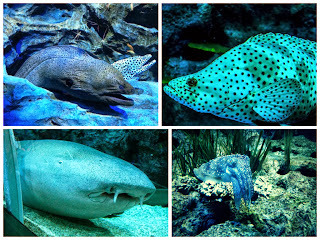 Aquarium, located on Sentosa Island. 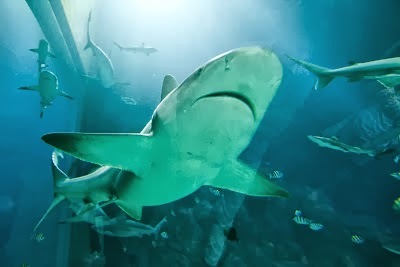 Marketed as the world’s largest aquarium (as accredited by Guinness World Records), the attraction prides itself on giving visitors the chance to see more than 100,000 marine animals of over 800 species. ...inside the large cylinder tank, beautiful coral reef and many dory fish, but where is nemo? 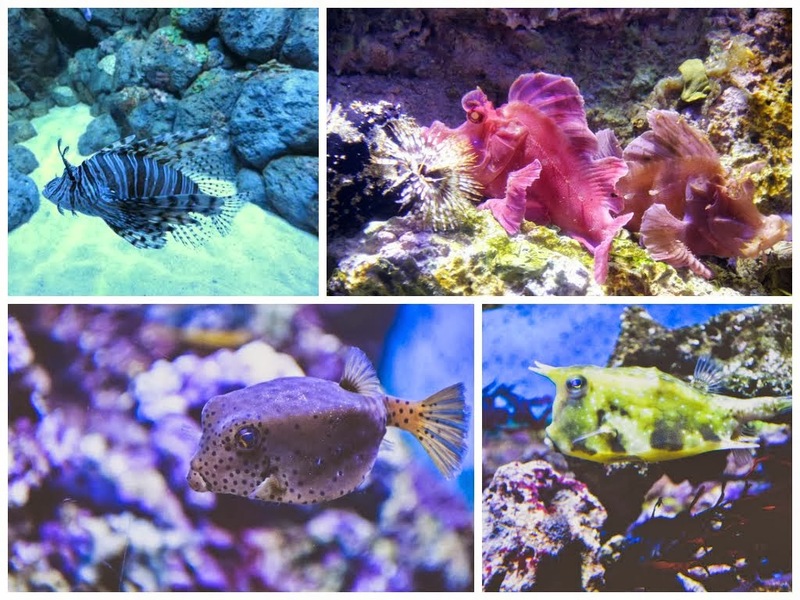 The Aquarium was opened late last year, and is apparently the largest of its kind in the world and comprises a number of nicely done-up habitats and tanks that show the wide diversity of sea creatures. The Open Ocean Habitat, which boasts the world’s largest viewing panel at 118 feet wide and 27 feet tall, is really amazing. it is intended to give visitors the feeling of being on the ocean floor. But there are too many visitors, I didn't feel like to take any photos there. After a short brief, here are a lot of pictures I took during the visit, there are several interesting species that intrigued me, it will be a long post, Let's discover and unfold the endless wonders of our blue planet at S.E.A. Aquarium™. ...seahorse, there are beautiful leafy seahorse too, but I couldn't have chance to take a clear shot. I love star fish, there were some fun memory from childhood time of picking star fish on the beach. 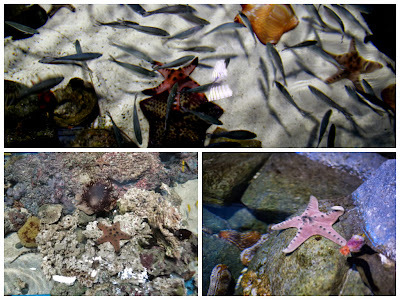 This is a open pool with varieties of star fish inside for you to touch and have a feel. ...this one, big, fat and super blur looking. didn't manage to take down this creature's name. ...this baby stingray say "hi"to me, it's underbelly actually.This was way too cute to be a local delicacy, but I really enjoy BBQ stingray with a lot of chilly, Lol. You are right! These brownish/orange mussel-shell shaped things are actually shark egg cases with the shark embryos inside. Around 40% of all shark species lay eggs while the rest would give birth to live pups. These egg cases have tendrils which allow them to be hooked onto corals or beneath some rocks. I most enjoy viewing cool marine life in the Cold Water habitats such as giant spider crab, blue lobster, sea urchins, chambered nautilus and other unique species. Jellyfish looks so beautiful but they are very venomous. More humans are killed by jellyfish than sharks yearly. Jellyfish dates even further than the dinosaurs as they were there even when no dinosaurs existed in planet earth. I like to imagine those jellyfish are from outer space. With each breathe, they float away; upwards, downwards or sideways from left to right, from right to left, so freely... Every move is so graceful as if you are watching ballet dancers. Don't forget there have lovely dolphins here too which never included in this post. The journey to S.E.A aquarium with 10 zones in 49 habitats left us head spinning. 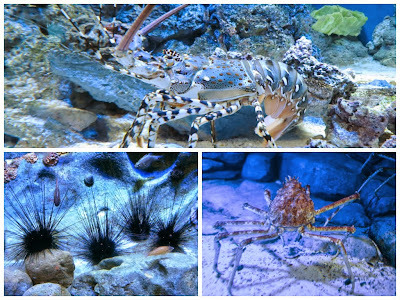 A must go in Sentosa to enjoy the endless wonders of our blue planet. Hope you enjoy reading my post even you dont have the chance to come to Singapore. There are always long queue that winds round and round prior to entering the sea Aquqarium, but you ca pay extra $12/each for express enter without queuing. Master card have 15% off for the ticket. Open till 9pm on selected Fridays and Saturdays. Ticket includes admission to the Maritime Experiential Museum. You may want to take a bus or MRT (NE Line) to Vivo City then another bus RW8 or the monorail to Resorts World Sentosa. 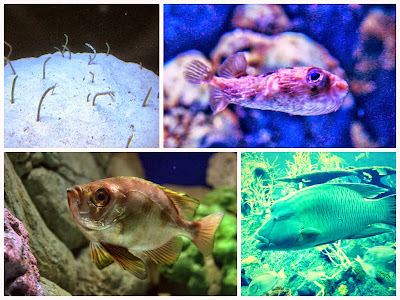 What fabulous shots fo under- water life and such vivid colors. I've always loved the jellyfish - so other-wordly. 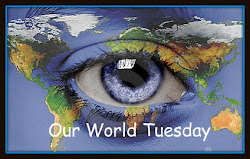 It is an amazing world there! So many beautiful colors and textures! 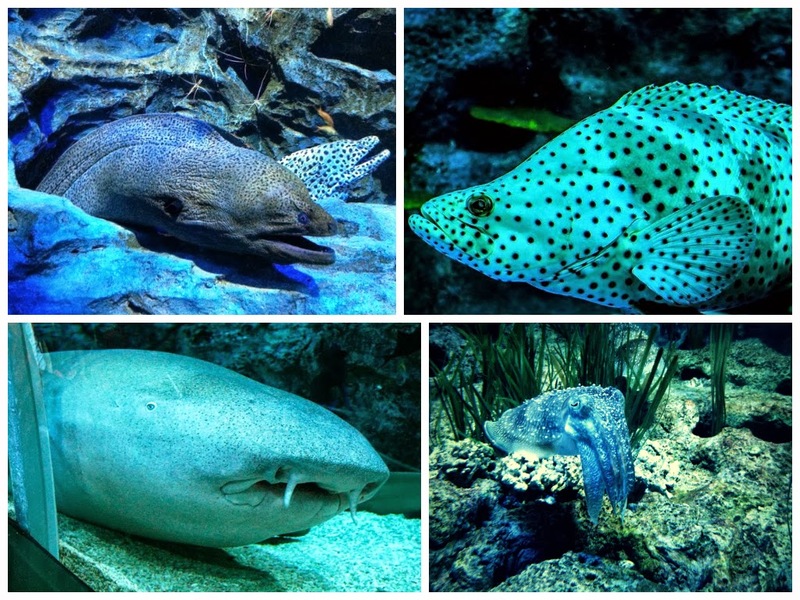 What an incredible collection of sea creatures! Great shots too. These are fantastic. And through the glass?! It's amazing how much color there is. 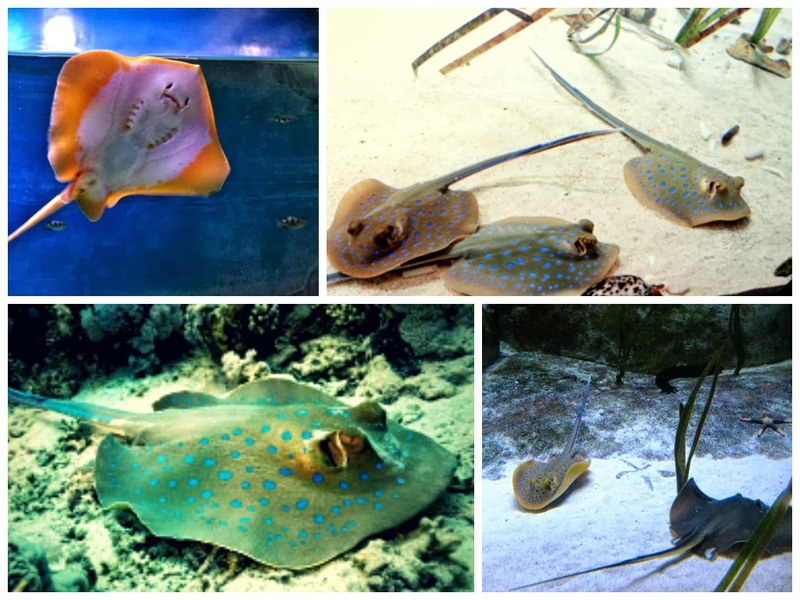 The stingray is a winner! Love the jelly fish shots. I just can't believe all the beautiful colors on display and those stingrays are cute.